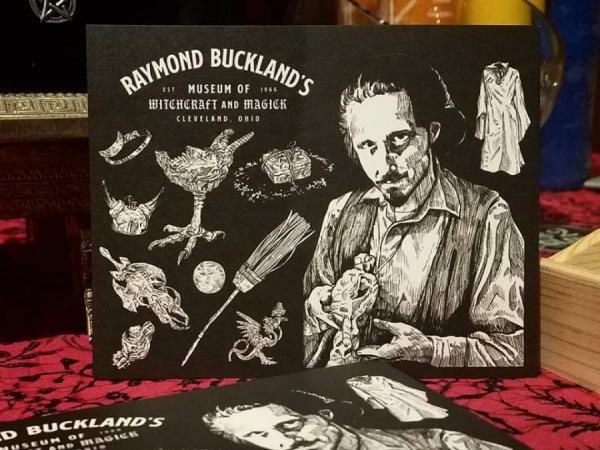 Cleveland’s Buckland Museum of Witchcraft and Magick — recently featured on Travel Channel’s Mysteries at the Museum — is reopening tomorrow, March 22, 2019, at a new, expanded location with room for all kinds of amazmo artifacts from the collection of one of the founders of Wicca in the 20th century, Raymond Buckland, along with contributions from many others luminaries of the craft and contextual popular culture items, assembled to display the tools and imagery of witchcraft and magick, while celebrating the First Amendment and the power of outsider art. Raymond Buckland started The Buckland Museum of Witchcraft and Magick in 1966. After visiting the late Gerald Gardner and his collection on the Isle of Man, Raymond was inspired to start a collection of his own. While working for British Airways, he was able to acquire many of the artifacts in this collection from all around the world. He initially displayed his museum on a few shelves in the basement of his Long Island, N.Y. home. However, over time, Raymond’s witchcraft collection grew to well over 500 artifacts, ranging from Ancient Egyptian ushabtis to documented artifacts from the Salem Witch trials. 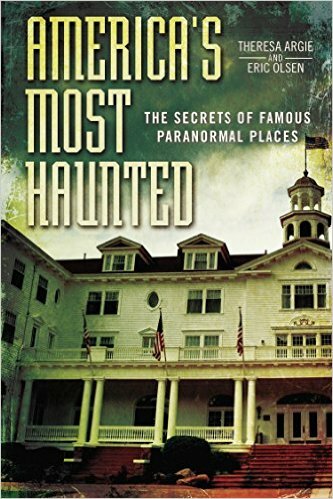 This was the first museum of its kind in the United States with an anthropological approach to the world of folklore and the supernatural. The museum was in existence for ten years in this New York location (1966-1976). During that time, it was featured in numerous magazine and newspaper articles and was the subject of a television documentary. Raymond was also interviewed on a large number of radio stations and both national and international television. The Metropolitan Museum of Art requested and featured some of the pieces in one of its special exhibits. In 1976, Raymond Buckland moved to New Hampshire where he opened the museum from 1977 to 1980. Unfortunately, because of a rigorous writing and lecture schedule, he then had to place the museum collection into storage, where it remained for a number of years. The museum collection was briefly reestablished in New Orleans in 1999 where it passed through multiple hands before being salvaged — a bit damaged and somewhat reduced by Rev. Velvet Reith, who was instrumental in preventing the collection from degrading further and being lost. In 2015, the museum collection was relocated to Ohio and is reopening tomorrow, March 22, in expanded form, at 2155 Broadview Rd. 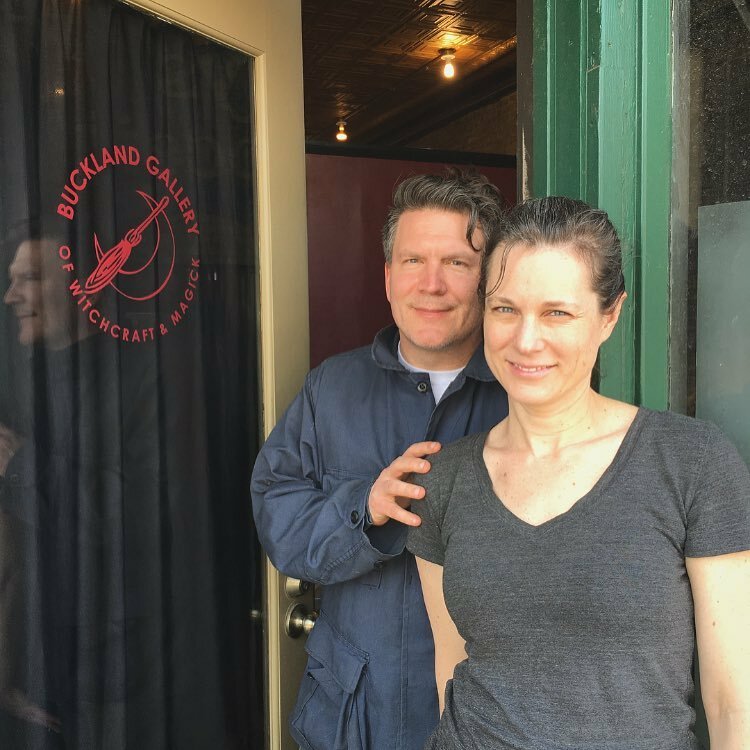 in the Old Brooklyn neighborhood of Cleveland – the Buckland Museum of Witchcraft & Magick! The Buckland collection includes artifacts from Raymond Buckland, Gerald Gardner, Lady Rowan, Aleister Crowley, Sybil Leek, Anton LaVey, and many other leaders of the pagan community. Steven Intermill, Curator and Director of the Buckland Museum of Witchcraft and Magick has long been fascinated by the history of the American occult, an interest he has been studying for over 30 years. His favorite thing about the museum is the ability to get lost in Raymond Buckland’s archives – the collection of letters, receipts, and general media gives an incredible glimpse into the modern occult scene and revival.